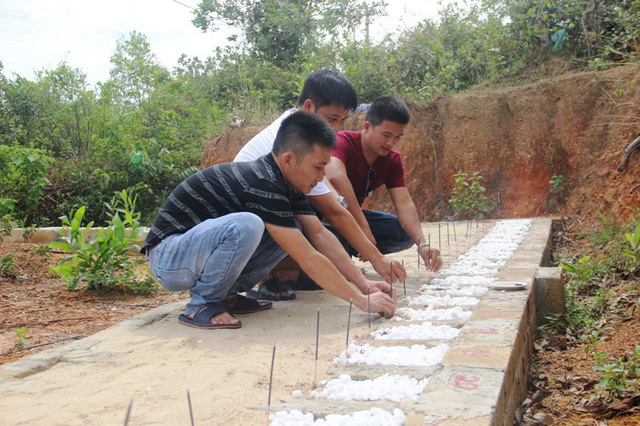 Three men in the central province of Quang Tri have jointly set up a cemetery for deceased abandoned babies. The cemetery located by National Highway 9D which runs through Dong Ha City is voluntarily formed by Vo Huu Hanh, 39, and his two close friends Hoang Van Ha, 35, and Hoang Chung, 37. Hanh said that since being opened by late 2017, the site is home to 30 aborted fetuses. Following the family’s support, Hanh tried to find a suitable place for the cemetery and his two friends joined him. After understanding the men’s good deed, people in Dieu Ngao Village, Dong Ha City, agreed to give part of the locality’s cemetery to the men for building an area for burying aborted babies. A signboard is installed at the cemetery, saying that it is for burying abandoned babies without collecting any kinds of fee. The men’s phone number is also published there. People can bring the dead babies to the site and then contact the men to ask for the burial or the team can come to informed places to take the babies and then bury them. 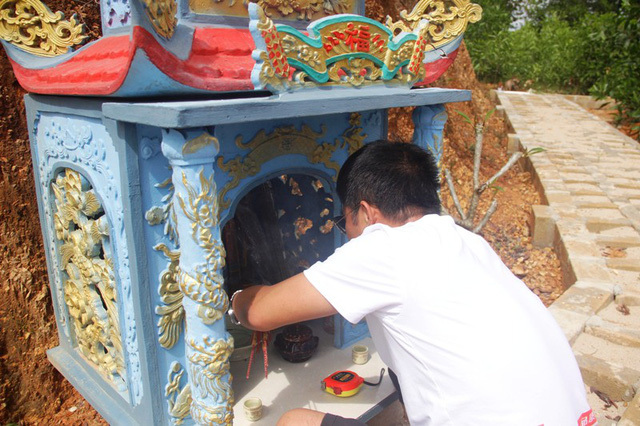 “We take turns to burn incense for them on the 1st and 15th day of every lunar month. When we are free, we all come here to do this,” Hoang Chung said. Specific information is written on each tomb such as the place where dead babies were found or phone number of people who found or took them to the cemetery. The team are trying to facilitate the cemetery gradually and have never received any donations. “We hope that families of the dead babies sometimes come there to burn incense. Couples should think more carefully about the pregnancy to avoid abortions,” Hoang Chung noted.